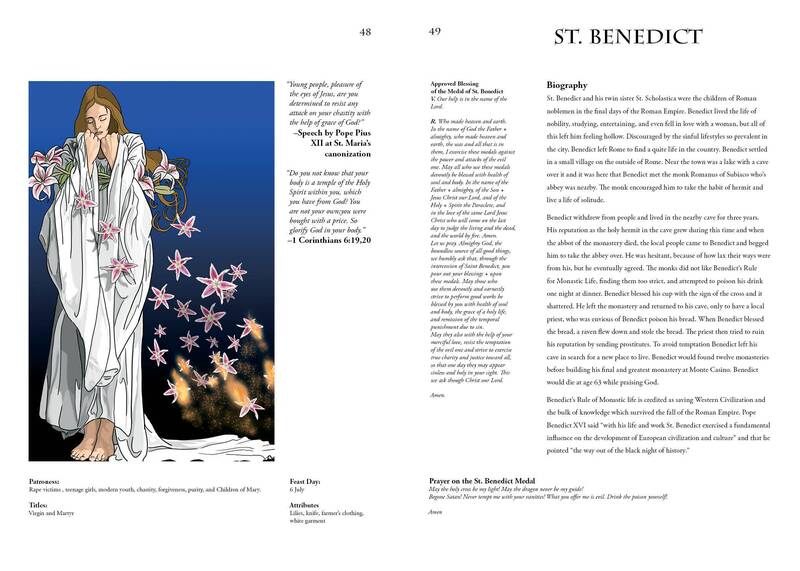 An illustrated Guide to the Saints of the Catholic Church. 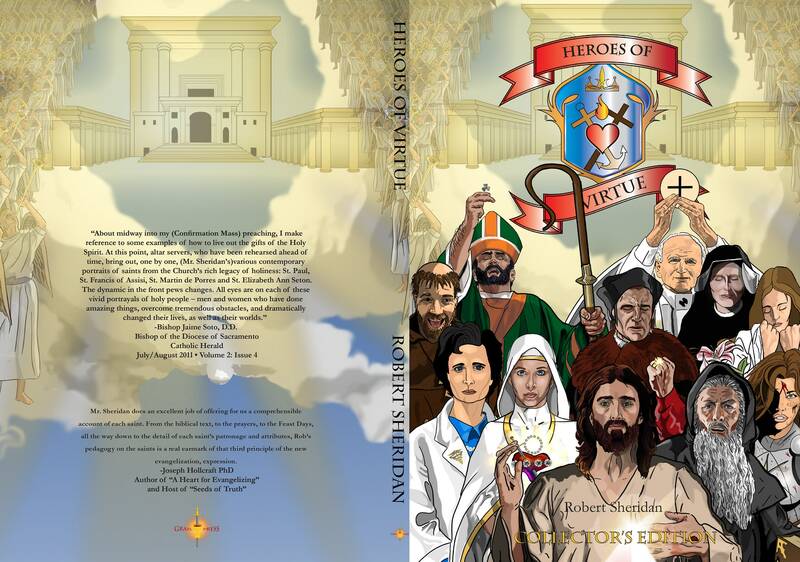 114 pages, 55 saints with prayers, scripture quotes, facts and bios! 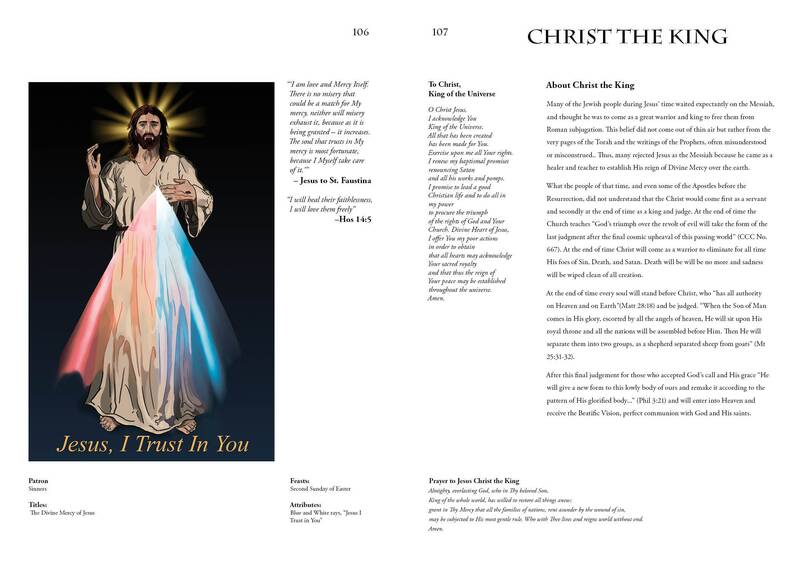 This book makes the perfect confirmation gift for teens and a great devotional for adults. 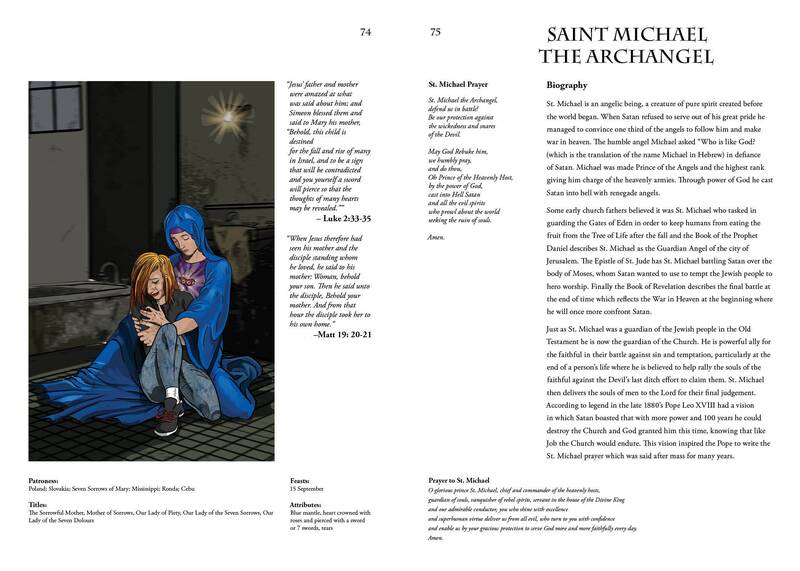 Take your prayer life to the next level with this lavishly illustrated book with classic Saints you know and more than a few that you don't! 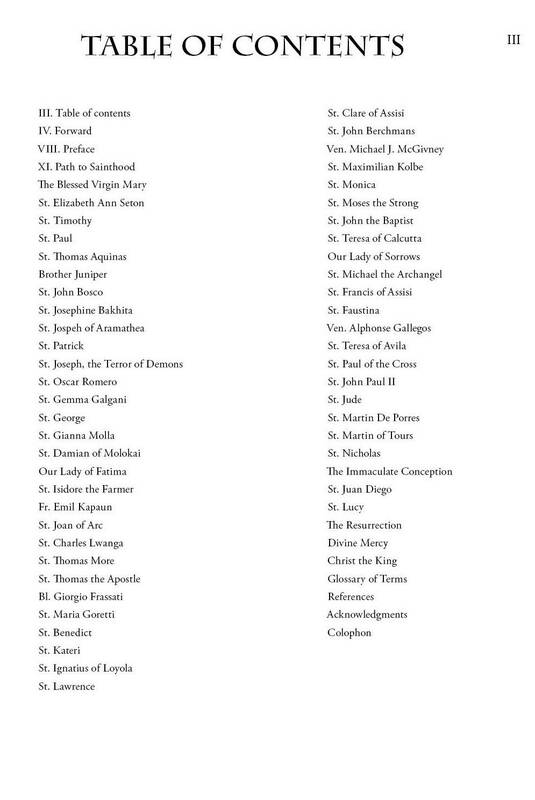 There are Saints from the times of scripture and some of the most recent Saints canonized. 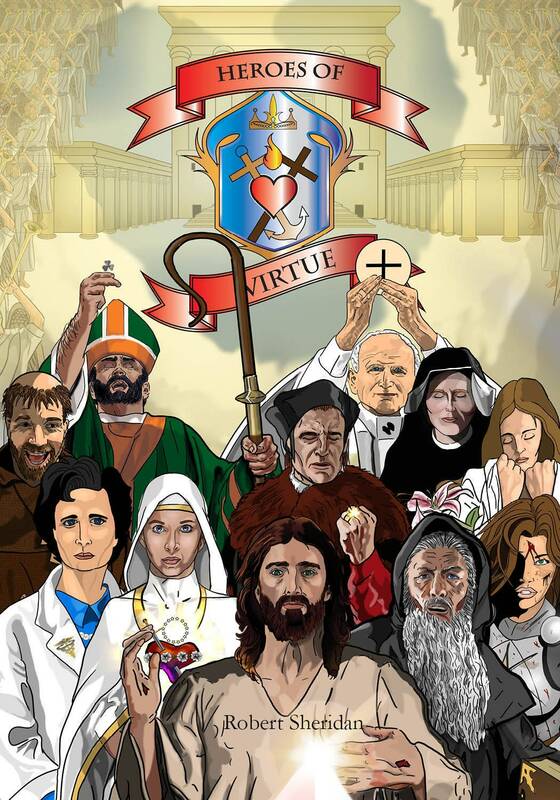 Arranged according to their feasts days you can follow along throughout the year and celebrate these Heroes of Virtue along with the Church! 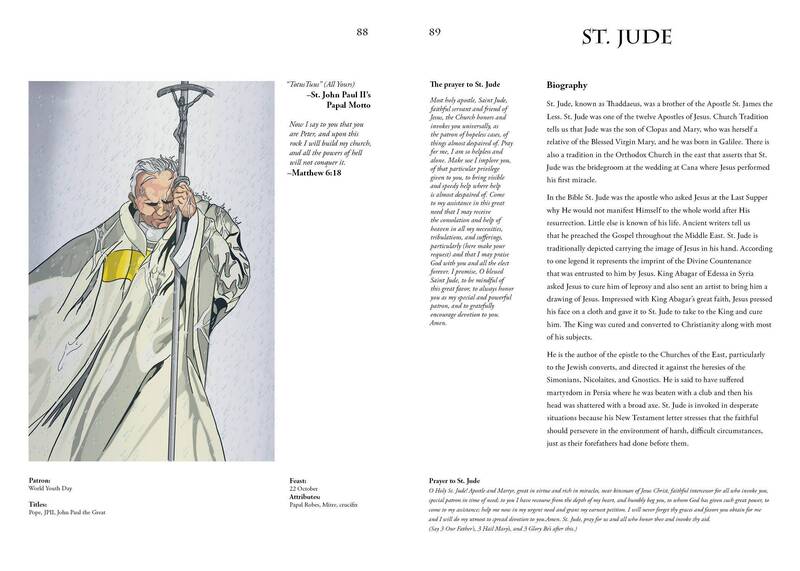 Get the standard edition printed in color on #60 uncoated paper with matte perfect bound cover for the budget conscious or upgrade to the collector's edition printed in high quality color on #80 Paper with glossy perfect bound cover. Want something to impress on your bookshelf? Get the Prestige Edition with #80 Paper with a glossy case wrap hardcover. Thank you for taking care of this order and for the good customer service!